Enrico Claro aka RICO grew up and developed his technique in the Saint Louis College of Music, Roman Music Academy, as sound engineer and MIDI programmer; here he started to ddle with analog machines, oscillators and modular synth. Always in love with all is music technology and electronic music, he is a sound designer who alternated DJ sets with recording studio productions during the years. 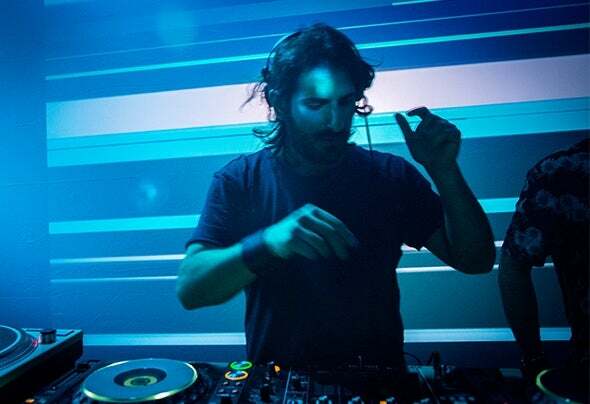 His passion for electronic music comes from the Daft Punk album "Discovery", point of reference and inspiration for most of its sonorities, based on classic house institutions such as Marshall Jefferson, Masters at work and Kerry Chandler. His DJ sets are mainly made of house music with a avor of soul and funk, mixed with disco tones full of persistent rhythms and groovy basslines. Today he collaborates with SMASH, Singita Miracle Beach and Zuma Rome. In october 2017 found Lame Digital whit Skinnybit and Charlie.